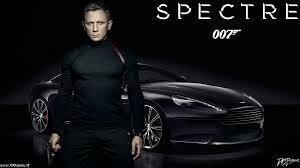 Will you be watching the new James Bond film Spectre? The new film had it’s premier on Monday 26th October. The spy thriller, starring Daniel Craig featuring Sam Smith’s Writing’s On The Wall as the theme music. SPECTRE gets its name from the acronym for “Special Executive for Counter-intelligence, Terrorism, Revenge and Extortion.” Ever since its foundation, its main goal has been to undermine the governments of the world, in hopes of one day ruling it. Some of their most infamous plots have involved the attempted radiating of Fort Knox’s gold supply, the ransom of two nuclear warheads found off the coast of the Bahamas, as well as various plots involving the sabotage of the space program. SPECTRE is on track to be one the most expensive films ever made, costing over $300 million. SPECTRE establishes a link between all of Daniel Craig’s Bond movies up to this point, as it features both documents from Bond’s childhood found in the ruins of Skyfall Lodge and the return of Mr White. 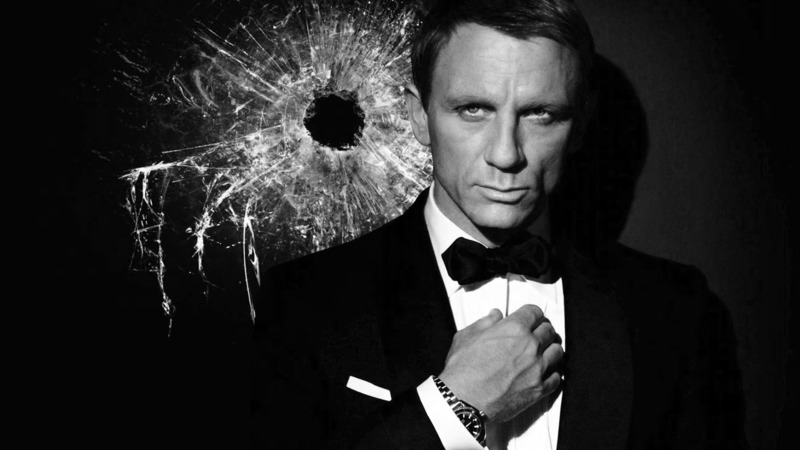 Skyfall had no apparent link to both plots of Quantum of Solace and Casino Royale before. Directors Ang Lee, Tom Hooper, David Yates, Danny Boyle, Shane Black and Christopher Nolan were being considered to direct the film until Sam Mendes decided to come back after Skyfall. Sam Mendes confirmed SPECTRE will be his last Bond film. Here are some more facts about the film. 1. While shooting in Rome, the Mayor allowed producers to shut the busiest road in the country off so that crew could film the high-speed car chase scene. 2. The crew of Spectre travelled to Morocco, Austria and Mexico to shoot the film. 3. Not just a road, but even a plaza in Mexico was shut for four days to shoot huge sequences in the film. The opening scene in Mexico shows the Dead Festivities, and it took six months to make costumes for the thousands of people involved. 4. Lucia, the character played by Monica Bellucci, is the James Bond’s oldest love interest at 50. Bond is known for using many gadgets throughout the film in order to succeed at the task, and here at Masterflex we have our own set of gadgets, specialised tools and machinery to manufacture hoses and ductings for individual requirements. Why not increase your stocks of flexible hoses and ducting from Masterflex? This entry was posted in Automotive - Motor sports / F1 / Boats / Rail, Chemical - food & pharmaceutical, Dust & Fume Extraction, Environmental, High Temperature Hose, HVAC - Heating, Ventilation and Air Conditioning, Materials Handling - Plastics, Rubber , Powders, Microbe & Hydrolysis-Resistant Hoses, Paper, Printing and Packaging, Plastics, Street cleaning leaf and grass collection, Woodworking Industry and tagged abrasion resistant hose, air and ventilation hose, Chemical Ducting Fume Extraction, DUCTING, Ducting Connecting Systems, Ducting Exhaust Extraction, Ducting PU Hose, ductings, Dust extraction hose, dust extraction hoses, Dust Extraxction Ductings, Exhaust Extraction Ductings, Exhaust Extraction Hose, exhaust fumes removal, flexi ducting, Flexi Ducting Hose, Flexi ductings, flexi hose, Flexi Hoses, Flexible ducting, flexible ductings, Flexible hose, Flexible Hose Polyurethane Ducting, flexible hoses, FlexiHose, Fume Extraction Ductings, Fume Extraction hose, High temperature ducting, High Temperature Ductings, High temperature hose, High Temperature hoses, hose, hoses, Masterflex technical hose ltd, Masterflex technical hoses ltd, Polyurethane ducting, polyurethane ductings, Polyurethane hose, polyurethane hoses, PTFE Ducting, PTFE Ductings, PTFE Hose, PTFE Hoses, PU DUCTING, PU ductings, PU hose, PU hoses, PUR hose, PVC ducting, PVC ductings, PVC Flexible Ducting, PVC Flexible Ductings, PVC hose, PVC hoses, Silicone Ducting, silicone ductings, Silicone Hose, silicone hoses, suction and transport hose, templine Heated Hoses, Weld Fume Extraction, Weld Fume Extraction Hose. Bookmark the permalink. ← Time to gain an hour!! !